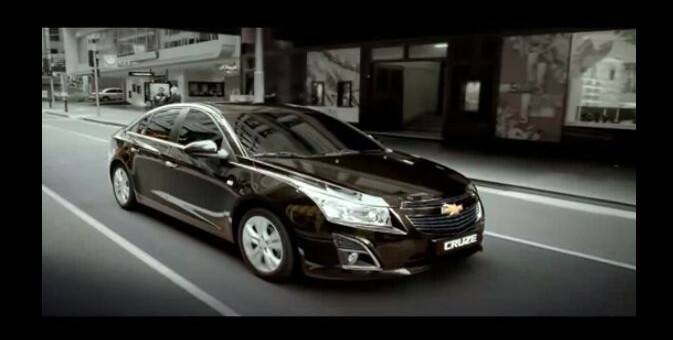 You don’t have to speak Korean to know that there’s an updated 2013 Chevrolet Cruze in this quick 30-second ad — if it is an ad, we don’t know, we don’t speak Korean. This video comes as America awaits the diesel-powered Chevy Cruze Eco-d, which we’re told is expected to join the 50 mpg club. The front fascia also matches that of spy photos taken some time ago of an updated Cruze. And considering the Cruze in its current design form has been around since 2008, it’s about time. What are your thoughts? Is the exterior update significant enough? Now my Korean is more GOODER then it was yesterday. A Cruze refresh is truly overdue, and America’s versions can only benefit – it appears the nose could have a slightly steeper approach angle = better mileage. Not much happening new on the rear though. The Cruze is already an attractive car. A few minor changes don’t count as “significant” but they need to nail down the lack of certain features compared to the Focus like the little blind mirrors in the mirrors, a backup camera, and a high performance version for the love of everything good! I’ve heard of *something* but I’m still gathering intel. Looks good. I think the Cruze could definitely benefit from some minor exterior changes. Makes it look sportier. An Iike the chrome grille. I’m getting real tired of the overly elongated headlamps. Kinda subtle differences huh? I like the whole “head-turning” aspect though; an ad like that should come over here to the states. We saw the new Impala grille, and Chevrolet said it was the new brand grille, to replace the bar-split grille. Ever since, I have only seen 2 models with it (Impala and Traverse) and apparently the SuperSport will have it. I have also seen some foreign models, all of which sport the old bar-split grille. What’s the deal? Are only the high end Chevrolets getting this? Still like more the honeycomb grill …. If this is what passes for an update then that’s really lame. The rear of the car still looks like a toy, fix those tail lamps and ditch the faux chrome bar – it’s not an ’05 Malibu. The fog lamps still have way too much black plastic, and the new shape doesn’t flatter the front of the car. A thin strip of LEDs shoved in there somehow, instead of that big piece of crappy looking plastic would be much better. I really prefer the current front end, this looks like a step backwards. I wouldnt call it a step backwards but it does seem like like the refresh was just the sake of a refresh and not really to improve the looks of the car. @Yabadabadoo let him say whatever makes him happy. He can say it until he turns blue in the face! lol After all he said “I’m” he is talking about himself not others. Give what a rest ………….. you don’t like it and I don’t care. Turn it around …………. I still don’t like the headlamps. If that hurts anyones feelings, don’t cry to long. Hey, I still think the Cruze is the best-looking (and driving) compact… but as we all know, styling is very subjective. So opinions may obviously differ. I’m sorry but no, you can not just change how the foglights are in there and have slats go across and say facelift. I hope this is not the 2014 facelift that we will be seeing. @Alex ,But I have feeling the majority don’t like the new look …I wonder how they make such decisions to change the look of a car , is this a one man decision or is there a panel of some kind ?? ?